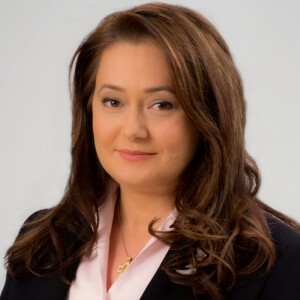 Sorina Olaru is a highly experienced litigator with over 19 years of experience in representing clients before the Romanian courts of all levels and specializations (civil, commercial, labor, or administrative), including the High Court of Cassation and Justice and the Constitutional Court of Romania. Sorina often sits as an arbitrator in domestic arbitration proceedings (CCIR rules and ICC arbitration). She is a member of the Board of Directors of the Court of International Commercial Arbitration attached to the Chamber of Commerce and Industry of Romania and a member of the ICC Romania National Committee. Sorina is a member of the team involved in drafting of the new set of arbitration rules of the Court of International Commercial Arbitration attached to the Chamber of Commerce and Industry of Romania. Her expertise also includes the representation of clients before domestic and international arbitration panels, in cases solved under various rules of arbitration (ICC, LCIA, UNCITRAL, Swiss Arbitration Act). A client states “I am very impressed by her performance in litigation”.